Well, there are many articles are available on web, all share their own thoughts and experience about bounce rate. Typically all blogger says it is depends on depth of a pages, and it is true. But what is a bounce rate in an easy language? Is a bounce rate is really very important for a site. 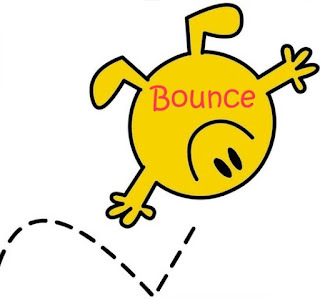 Is Google really gives an accurate bounce analytics report? These all are really confusing as I think. I am not a big analyzer I am just from those 40% of SEO’s who simply have 6 to 7 year of experience and working in any company and try to learn every day. I cannot challenge anyone, I just share my own experience and opinion. Let’s explain it, when a visitor visit any page of your website and close tab on same page or type any other URL in same tab. It consider as a bounce rate. But, if visitor visit a page and also visit second page from its first page, in this case there are no bounce rate. So it is simple if visitor visit second page it is 0% bounce rate. Here one more thought that I read on web is entrance page and going page. If the entrance page and going page are same for a visitor it gives 100% bounce rate. And if both page are different then then bounce rate is 0. But in this case, if visitor’s entrance page is “home page” then visitor goes on “services page” and return on “home page”; then entrance page and going page are same but bounce rate is 0%. So according to me it create confusion. Then now, if visitor not visit second page from their first page it is bounce. Bounce rate can be 0 but it is almost impossible. Bounce rate is not depends on time, a bounce rate can be occur if visitor visit 20 minute on the page. Bounce rate is important and also not important for a website it depends on conditions, if you have only one page website that bounce rate no matter because you get 100% bounce rate. But you have a service or product selling website then it is important to care bounce rate, in this case if your bounce rate is high it mean user not take interest in your site. There a condition in which you can ignore bounce rate, if visitor visit on a page and on that page where the motive of visitor is solved, then visitor close the page, bounce rate is high. but also your goal achieved, here bounce rate is high but you achieved your target then bounce can be ignorable. Sometime Google not track all data and it return falls result. But i cannot blame on Google, that Google is wrong. The data Google shows is as accurate that we can take action on basis of Google analysis and get success. If you get high bounce rate then you need improve on given point. Summary: - it is hard to getting bounce rate under 20%. But about 35% of bounce rate is ok, but 55% is worried. and above 60% is...... i think you know batter.